In what’s become a regular occurrence, Blu is back with another smartphone. Just in the first few months of 2018 we’ve seen the unlocked phone maker introduce devices that range from entry level (R2 Plus) to high end (Vivo X). Today sees the company debut the Vivo XL3, its first model to run Android 8.0 Oreo. Priced $109.99 at launch, it boasts an impressive set of specifications and is a modest improvement over its predecessor. After the short debut window, the price will go up to its normal cost of $189.99. 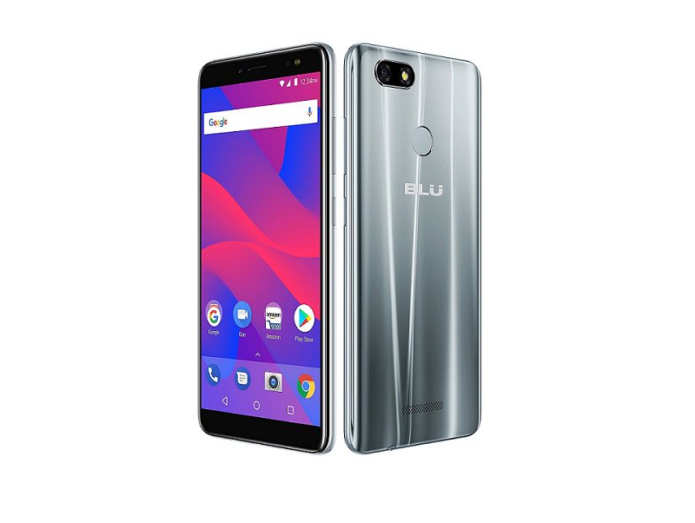 Like all of its Blu brethren the phone is sold direct to consumer and can be paired with all major GSM service providers. We’ve had a review unit in our possession for the last couple of weeks and are happy to share our impressions of the handset. When it comes to specifications, the Vivo XL3 punches things up just enough to qualify as an upgrade. It arrives barely a year after its predecessor and has the right changes in place. For starters, we get a version of Android that is two releases newer. 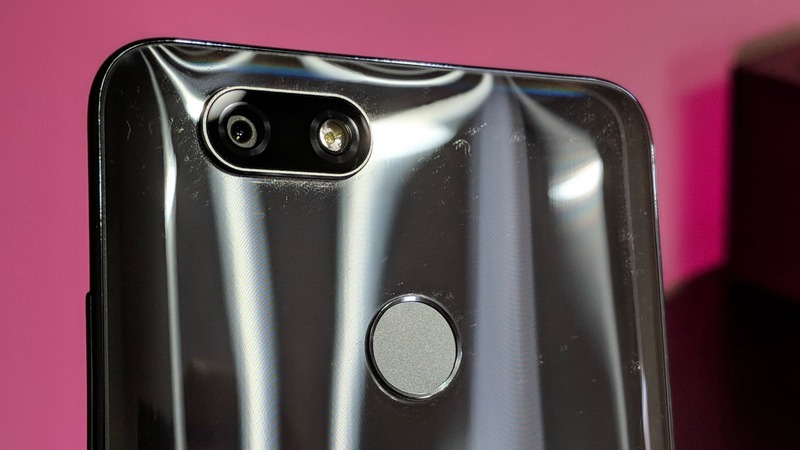 The XL3 also adds in a (rear) fingerprint reader and adopts the increasingly popular 18:9 aspect ratio. Neither of these are cause for celebration but are worth implementing. Previously this thinner design was reserved for high-end phones so it’s nice to see on other edge of the spectrum. It doesn’t hurt that it also picks up some extra support for other 4G bands, too. We really like the look and feel of the Blu Vivo XL3. Time and again we showed it to others and asked them to guess the price based solely on hardware. Every time, without fail, people expected a pricier experience. There’s a great silver finish that catches the light and helps to show off the curves. No matter how you hold it there’s going to be some reflection and action across the back. 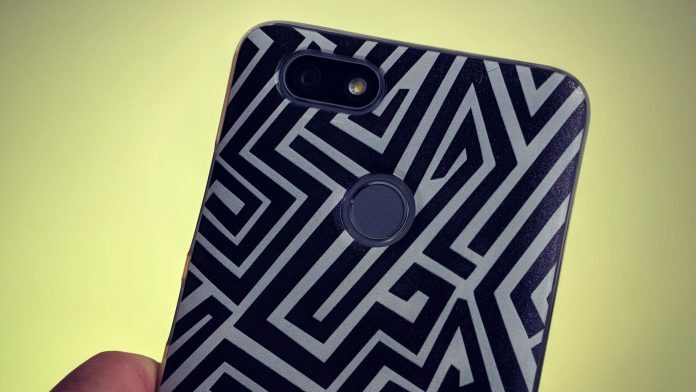 Do know, though, that it is an absolute fingerprint magnet. We’ve smudged this thing over and over just by picking it up and holding it. On a positive note, it cleans incredibly easy. A swipe against your shirt sleeve or pant leg is all it takes. The finish of the phone makes it quite slippery, something we found in last year’s iteration, too. We were torn with with whether to protect the phone in a case. It’s eye-catching and stands out so it’s not like we want to hide it. Then again, one drop and it could be all over. The Vivo XL3 holds well in the hand thanks to its thinner 18:9 aspect ratio for the screen. Moreover, the curved edges make this phone a treat to handle. The power button and volume are found on the right side of the display with the microSD expansion card and SIM card slot on the left. 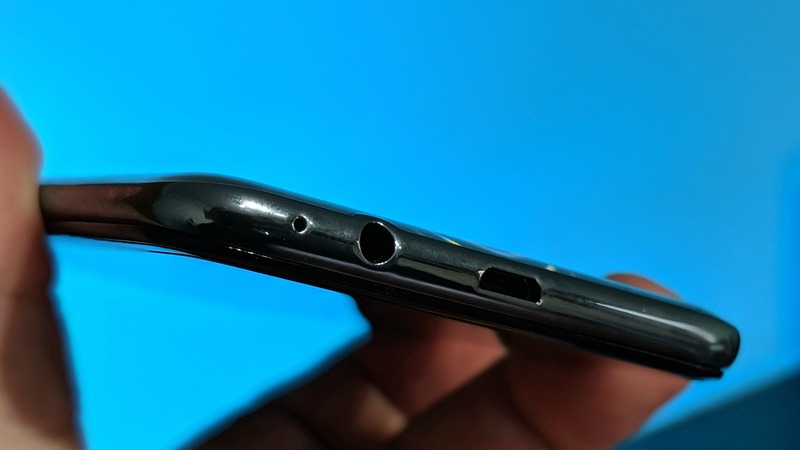 A single speaker sits atop the screen with a microUSB port and 3.5mm headphone jack on the very bottom. Blu has shelved the hardware buttons in favor of software keys and we couldn’t be happier. It give the phone more of symmetric appearance and helps in the overall department of aesthetics. Although it features the same 5.5-inch overall screen size, this year’s model employs a slightly different resolution and aspect ratio. As indicated before, the 18:9 means a thinner and longer picture. Whereas last year has a 720 x 1,280 resolution, the Vivo XL3 goes slightly higher at 720 x 1,440 pixels. We don’t take much issue with it, especially when you consider price. You simply have to make concessions if you want to launch a device at a fraction of the cost of others. Fortunately screen resolution is an area where it’s hard to discern the difference for most casual use. Reading text is fine for the most part, and images and video play as well as we’d like. Given that some of the stuff we watch is dumbed down to lower resolutions, we’re content with it. T-Mobile, for instance, will adjust video streams to “DVD quality” or 480 pixels. In other words it’s negligible in most cases. The lower resolution not only helps to keep the cost down, but it also helps to extend battery life. That, coupled with the newer version of Android saw this phone lasting longer than the Vivo XL2 even though the battery was technically smaller. One thing to keep in mind, though, is that if you plan to use your phone in a VR headset, you will see the difference. At that distance and magnification you would certainly notice. Colors were accurate in our testing; we never really ran into a scenario where white had a tint. We noted in our review last year that the phone tended to skew red. That’s not the case here. For what it’s worth you can also adjust the color mode to one of three settings to match your needs. Blu did a great job balancing the stock Android experience with only minimal additions in the area of pre-loaded applications. As we’ve mentioned in other reviews this is pretty much the default for Blu devices. Although they are vanilla builds of Android, every Blu model is a tossup in terms of customization and configuration. Specifically, one might have an app drawer whereas the next release won’t. Or, like the flagship experience for 2018, the Vivo X, it might not have access to settings in the notification pull-down. The Vivo XL3 is the sort of Android build we like. It’s modern and pretty much what Google had in mind. You’ll only find a few tweaks here and there, but nothing that sticks out. In fact, we’ve grown fond of the UI in the pull-down menu. We’re very happy to see that Blu has been able to load Android 8.0 Oreo here instead of older versions. 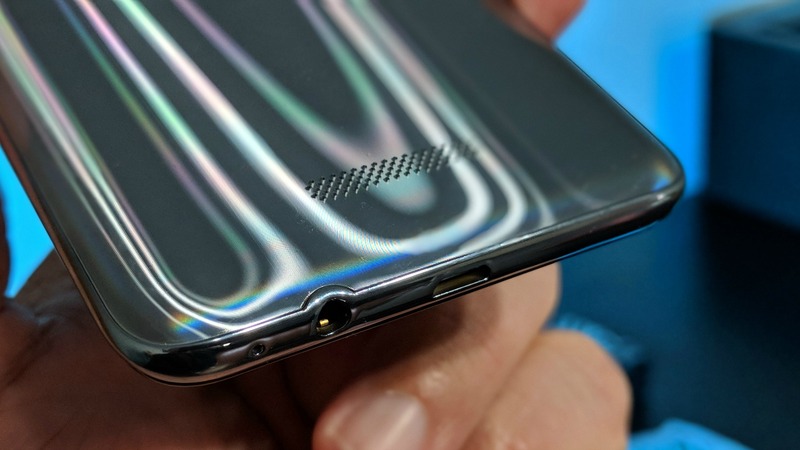 It was noticeably absent in the flagship Vivo X which launch just a few weeks back. Not only does this give us a more robust operating system with additional features, it’s also more efficient and secure. It’s a roll of the dice as to whether cheaper unlocked phones see major updates, let alone minor ones. Security patches are another area of concern so it is refreshing to find the January 2018 release already in place. There are only a few apps installed on top of the default Google suite; our review unit had Opera, Amazon Prime Video, Amazon Shopping, FM Radio, and Blu titles for video, music, notes, and file management. Blu tends to do quite a good job with its camera and app experience. Unfortunately, that’s not the case with this model. It’s okay, but nothing like we’ve come to see in others. Pictures are taken quickly and the shutter responds well, but the results are only so-so. About half of the photos we took were washed out or looked like they had been desaturated. Color was generally even but it was not accurate to the source. The lower the light conditions, the more mixed the result. We did manage to capture some nice images under better lighting, particularly outside. 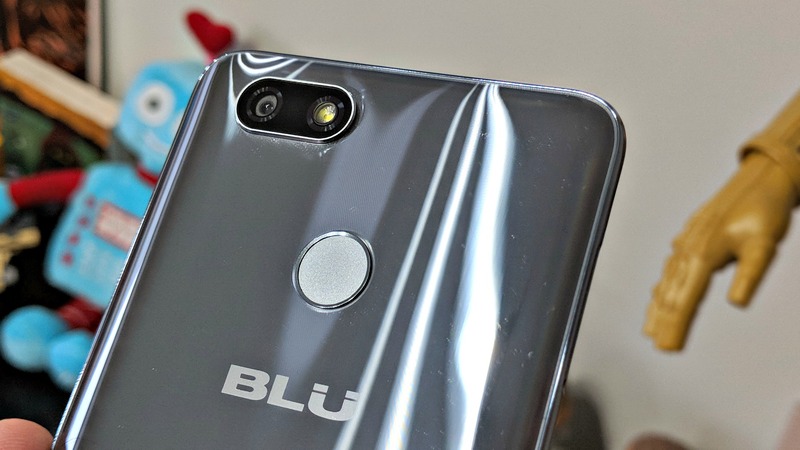 We shouldn’t expect much from a phone priced as low as this, but we’ve become accustomed to better from Blu. As far as the app itself, we were surprised at the lack of shooting modes. While we do have a few options at our disposal, we don’t have HDR or Pro modes. After snapping a couple of pictures in the first day we expected we we could switch over to something that would give us a better, more realistic color or finer tuned image. Alas, there’s nothing helpful. Don’t get us wrong, there are some neat little options and fun thing to play with in the Vivo XL3 camera app. They’re unique and interesting, but nothing that lends to “better” photos. We’ve been looking at phones with 3GB RAM and quad-core processors for what feels like years now. Well, to be sure, that’s an accurate statement. The high-end stuff of 2016 gave way to the mid-range of 2017 and is slowly making its way into the “bottom of the barrel” in 2018. At the same time, our needs haven’t changed all that much over the last few years. Ask yourself if you’re pushing your phone to do things that you previously couldn’t. For a large segment of readers the answer to that is going to be no. Today, just like we did in 2016, we’re using phones for social media, messaging and communication, casual gaming, and little more. 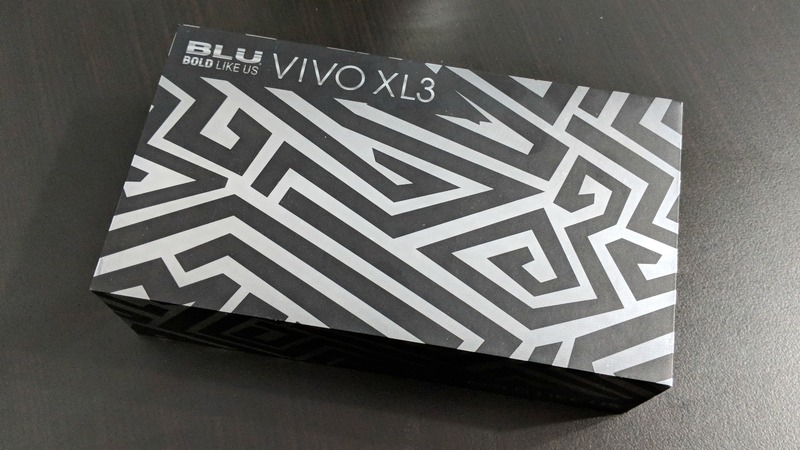 The Vivo XL3 did just fine our testing over the last few weeks in all of those areas. We would have loved a better camera, especially for sharing over social media. We might have also enjoyed a better sounding audio experience. MicroUSB is what it is, and should be USB Type-C by now, but whatever. At least we have a quick charging that doesn’t take very long. None of this, though really impacted the experience so much that we were unhappy with the overall package. 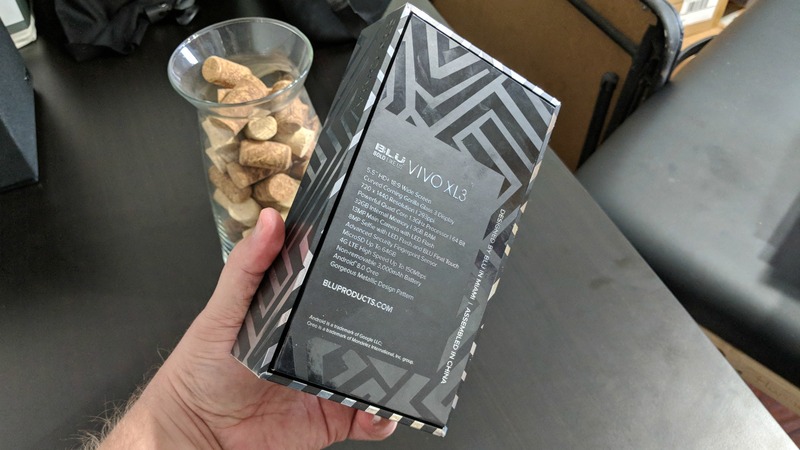 Generally speaking, we liked the performance of Vivo XL3. Our particular needs are not that demanding and we suspect that the target user base is similar. With that said, we feel the phone delivers on its promises. To be fair, we’re not saying this can run with the likes of a flagship handset. We’re not even close to the performance and glamour of say, a Samsung Galaxy S9. But, at one-fourth of the price, the Vivo XL 3 begs the question of whether the average person need more in early 2018. We didn’t love the camera experience at all. Given most of us are using a Pixel, Pixel 2, or a flagship handset, we’ve come to really appreciate what those offer. But, were we not into taking as many photos as we are, we could see this being a decent option. The fact that we’re looking at yet another phone with a microUSB port doesn’t make us overjoyed. 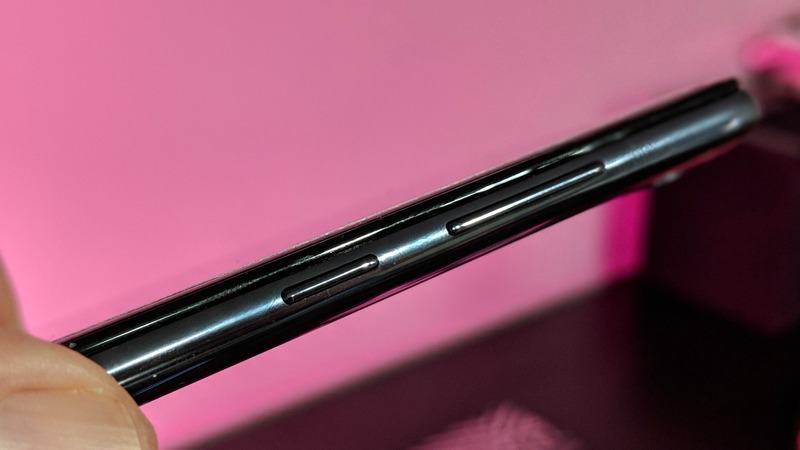 Our reaction to seeing one in the flagship Vivo X was much stronger; the price point is low enough that we’re able to give this a reluctant pass. Although this phone bears quite a resemblance to the R2 Plus in terms of hardware, this package is much prettier. Literally, you get a sexier phone for about the same money. Outwardly, the Vivo XL3 has the appearance of a more premium phone. Internally, it’s a fairly solid mid-ranger that doesn’t punch above its weight. The phone is evenly balanced in that no specification stands out above others; and, nothing lags behind the rest of the pack, either. If you use T-Mobile or AT&T, or one of their respective prepaid brands, this phone works great and delivers 4G LTE speeds. We’d have no problems recommending it for someone looking to replace a phone that’s 2-3 years old. Moreover, it’s an excellent starting point for a new smartphone user.